Minty’s Brigade, commanded by Col. Robert Minty, consisted of the 4th Michigan Cavalry, the 7th Pennsylvania Cavalry, and the 4th U.S. Cavalry. It served in the Army of the Ohio until November 1862 when it was transferred to the Army of the Cumberland. In November 1864 it became part of Wilson’s Cavalry Corps. Minty’s command became known as the “Saber Brigade” as a result of two successful mounted charges, both led by Minty, against Joseph Wheeler’s dismounted cavalry trying to hold entrenchments at Shelbyville in June 1863. Minty was awarded a Brigadier General’s star as a result. At the first day of the Battle of Chickamauga, Minty’s 900 man brigade held off 5, 000 infantrymen of Bushrod Johnson at Reed’s Bridge for nearly 5 hours by using mounted saber charges by the 7th Pennsylvania Cavalry. This cavalry delaying action has been favorably compared to Buford’s at Gettysburg. During Sherman’s Atlanta campaign it was Minty’s Saber Brigade that led all three of the mounted columns in the breakout saber charge when Kilpatrick found his entire division surrounded by Confederate infantry and cavalry. Finally, it was part of Minty’s Brigade that was involved in the pursuit and capture of Jefferson Davis in Georgia in May of 1865. The reconstituted Minty’s Brigade of today, currently consists of the 6th Ohio Volunteer Cavalry (OVC) and Michigan Cavalry Brigade (MCB) reenactment organizations. The 6th OVC is the largest cavalry reenactment unit in the country. Its membership stretches from New Hampshire and Vermont to Wyoming and from Ontario, Canada to Tennessee. The MCB is one of the oldest reenactment cavalry organizations in the country and has won renown at many events over the past 25 years, including winning (multiple times) the prestigious Cavalry Competition hosted by the US Army’s cavalry branch. At the 150th Chickamauga Reenactment Battle it was Minty’s Brigade that fought a delaying action with the Army of the Ohio against Confederate infantry at Reed’s Bridge, just as their namesake did 150 years previous. Today’s Minty’s Brigade has become known for following strong mounted military tactics, including spirited use of the saber, thus earning their own calling card of “The Saber Brigade”. Colonel Mike Church was born and raised in the Parkersburg, WV, area. He began his reenacting career in 1986 as a bright eyed (and naïve) high school student. 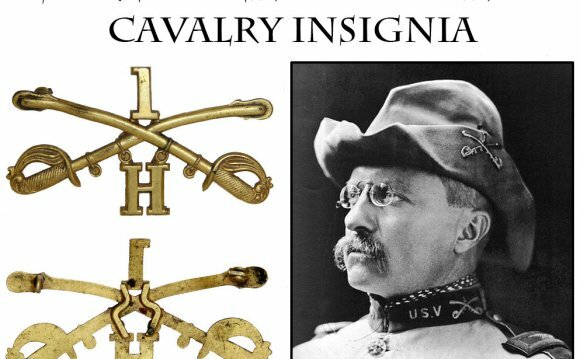 From those early days, he worked his way up the ranks of three cavalry units, 17th Va Cavalry (3 years), 4th US Cavalry (5 years) and his current unit, 6th Ohio Volunteer Cavalry (20 years). In his civilian life, Mike works for the US Treasury Department, in Cincinnati, Ohio. Mike and his wife Kristin (who happens to be the Mess Cook for the 6th OVC) live near Cynthiana, KY, on OBL Farm…home to cattle, horses, chickens, 2 dogs, one cat and yes…even one rabbit. Also, Colonel Church would like to thank the other units of the brigade for their hard work and dedication to historical reenacting and for their excellent work in and out of the saddle…namely the Michigan Cavalry Brigade (Let’s go you Wolverines), the 11th Ohio Volunteer Cavalry (true Wyoming Cowboys), and the 1st US Cavalry (our local Gamecocks). Colonel Church believes Minty’s Saber Brigade, along with their brothers from the Division Cavalry Brigade (DCB) provides the First Federal Division with the strongest cavalry force in the country today. James R. Lockett (1856 - May 4, 1933) was a decorated Colonel in the U.S. Army. He was awarded two Silver Stars for his actions in the Philippine Islands during the Spanish American War. World War II Camp Lockett is named in his honor. Charles Champlin Townsend (November 24, 1841 – July 10, 1910) was a Republican member of the U.S. House of Representatives from Pennsylvania.